"Our key challenge is to secure Moscow's consent to deploy such an operation." Ukraine will not engage in dialogue with representatives of separatist-controlled areas of Donetsk and Luhansk regions about the deployment of a UN peacekeeping mission in Donbas. 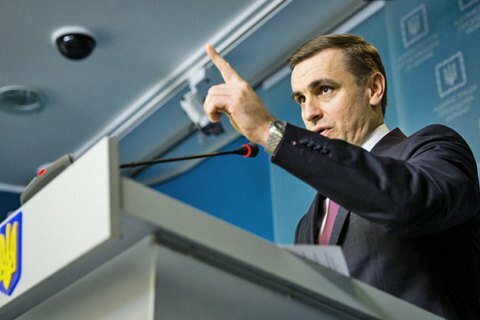 In an interview with Radio Liberty, the deputy head of the presidential administration said that Ukraine's priority is to discuss the issue with its key partners, however the final say is up to the UN Security Council, where Russia is one of the permanent members. "Certainly, we are not going to engage in any dialogue with or run past something the militants because it is clear to anyone that there is Russia behind the militants. In this regard, our key challenge is to secure Moscow's consent to deploy such an operation," he said. Ukraine's consent is also required for the deployment of peacekeepers. "The hosting side is Ukraine which considers these territories occupied. Therefore, if there is Ukraine's consent, we do not need any consent of some crime rings," he said. Yesterday, Ukrainian Foreign Minister Pavlo Klimkin said that he and his Russian counterpart Sergey Lavrov "failed to agree on anything" concerning a peacekeeping mission in Donbas. Former NATO Secretary-General Anders Fogh Rasmussen expects no progress on a peacekeeping mission until after the presidential election in Russia.